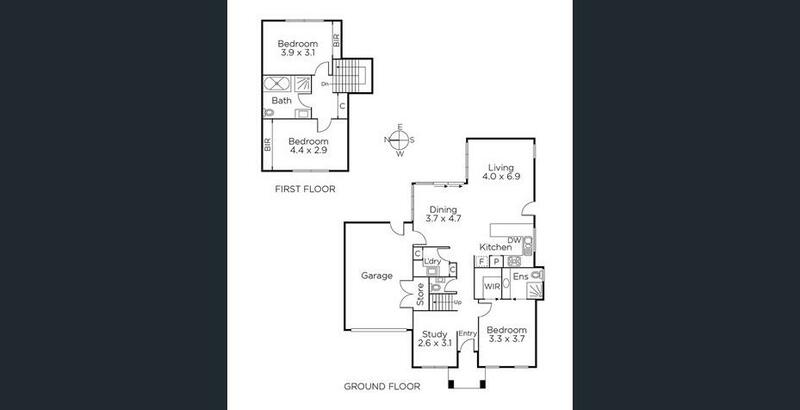 Large master bedroom with ensuite & walk-in-robe. 2nd & 3rd bedrooms with built-in-robes. Central bathroom with bath & separate shower. Chef’s kitchen with DW, gas & granite bench tops. Expansive open plan living & dining zones. Powder room & laundry with trough, ample storage. Alarm system, ducted heating & cooling, vacuum. Remote garage with direct internal access. just a short stroll from local shops and cafes and within easy reach of Camberwell shopping options or an array of excellent schools, public or private including PLC; plus transport options and Deakin University.